Patiently waiting for more snacks! 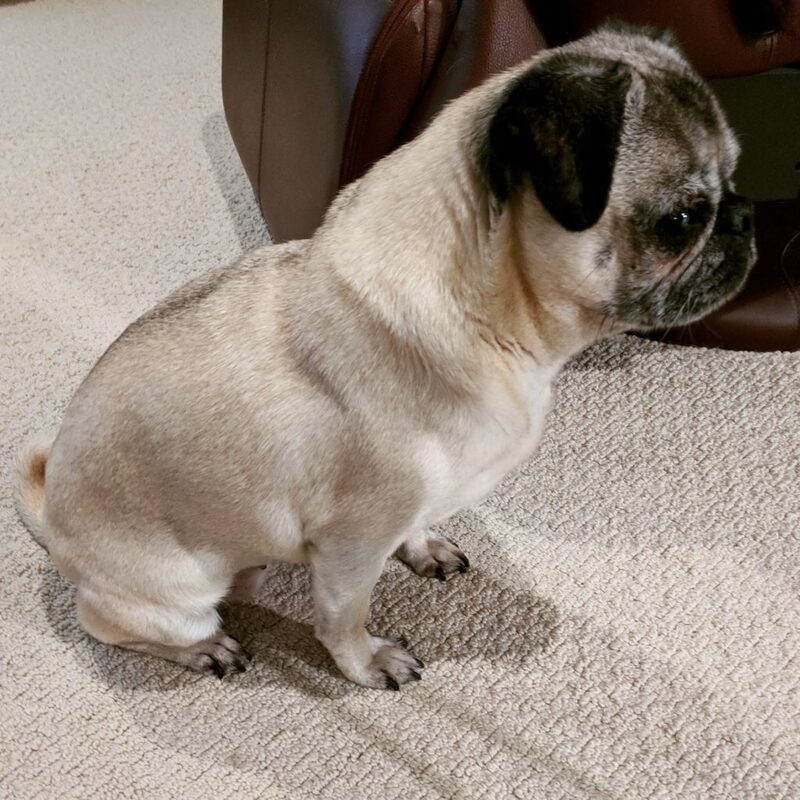 Snacks are a major motivator for Nickie the pug, and here she is fixated on the snacks that are heading her way! These tasty treats will definitely be worth the wait!